Bedfordshire is a county with diverse characteristics. It ranges from small, rurally set commuter towns, such as Sandy, to the much more urban and densely populated Luton. What is consistent across the county is relative housing affordability and excellent strategic location. Bedfordshire’s strength as a location is multifaceted. It has excellent links to London, with journey times into Kings Cross St Pancras as quick as 24 minutes from Luton and less than 50 minutes from most other towns in the county. 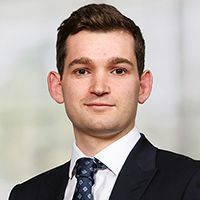 It is situated in a central area in the heart of the Cambridge-Milton Keynes-Oxford growth corridor, which is one of the most innovative and economically successful parts of the UK. The corridor has huge opportunities for further growth and the support of central government. Improved infrastructure will be a key part of this and continue to improve connectivity in the region along with the expansion of Luton airport. The strength of the location has been recognised by a number of high-growth global businesses that operate in the area and are thriving. The three unitary authorities that make up the county, Bedford, Central Bedfordshire and Luton, have all developed their own significant local sector strengths. Employers are also attracted by Bedfordshire’s positive demographic picture. It has seen population growth of 8.0% since 2011, significantly outperforming the national rate of 4.35% (ONS) and it has a strong local labour pool with high levels of employment. 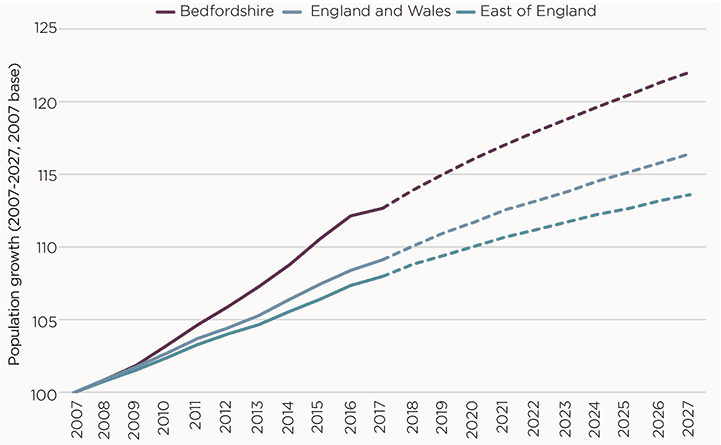 Bedfordshire’s outlook is also strong, with base-case population and employment growth projected to be higher than both national and regional projections. 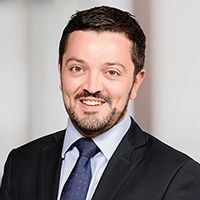 Bedfordshire’s housing market has seen a strong recovery since the global financial crisis, with prices now 39% above their previous 2008 peak according to Land Registry data. 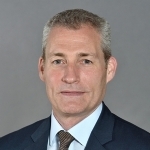 It has outperformed both the East of England region and the wider country over this time frame, driven by healthy local economic activity and excellent connectivity, particularly to London. Despite this, much of Bedfordshire still looks relatively affordable, with house prices and house price to earnings ratios in Luton and Bedford lower than the regional average. Luton is the most affordable of the main population centres, with a median house price to median earnings ratio at 7.5, below the England average of 7.8 and 9.7 in the East of England. It has an average house price of £239,800 compared to a national average of £294,700. A location with this level of affordability is rare given its strong and improving connectivity to London and other key locations. Central Bedfordshire is the least affordable of the three authorities, having seen affordability decline the most during the recovery period. Its house price to earnings ratio is now 10.4, compared to 7.4 in 2008. With an average house price of £332,500 it is the only authority in Bedfordshire higher than the East of England which has an average house price at £329,500. However, it remains a significantly more affordable location than the neighbouring local authorities of Aylesbury Vale and South Cambridgeshire, which both have house price to earnings ratios of over 11. High values in Central Bedfordshire’s villages and towns such as Sandy and Biggleswade contribute to its house price to earnings ratio. Nevertheless new homes in the authority are relatively affordable within the wider market context. 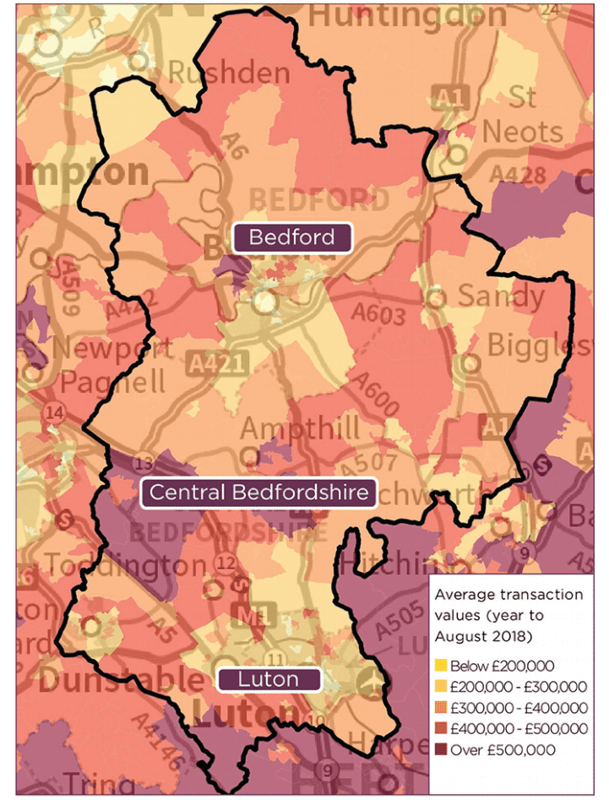 Bedford’s affordability is in between that of Central Bedfordshire and Luton, with a house price to earnings ratio of 9.3. Average house prices are £303,300, which is lower than the East of England average but higher than the national average. Of the main towns, Leighton Buzzard and Dunstable have experienced the most house price growth since the previous peak, both seeing a 44% increase, with Luton at 40% and Bedford lagging slightly at 35%. Housebuilding exceeded adopted local plan targets in 2017/18 in all the local authorities in Bedfordshire, although Luton delivered far less than its Objectively Assessed Housing Need. It has struggled to bring brownfield sites forward, as a result of viability challenges. 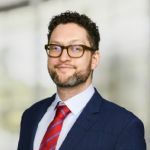 Its tight urban boundaries and lack of greenfield alternatives within the authority mean that more needs to be done to bring forward brownfield opportunities as part of the solution. Currently, Luton is the only one of the three authorities without a Housing Infrastructure Fund bid, a mechanism which could help to unlock brownfield sites. Inevitably, Luton is reliant on neighbouring authorities to pick up the housing delivery shortfall under the Duty to Cooperate. The majority of this lies with Central Bedfordshire and North Hertfordshire where there has been Green Belt release. 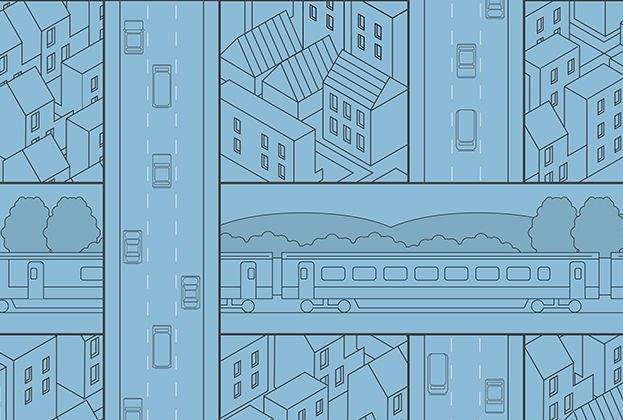 Looking forward, there is a significant central government desire for local authorities in the Cambridge- Milton Keynes-Oxford corridor to submit ‘ambitious proposals for further growth’, as part of the Government ambition of seeing one million homes built in the corridor by 2050, to realise its growth potential. 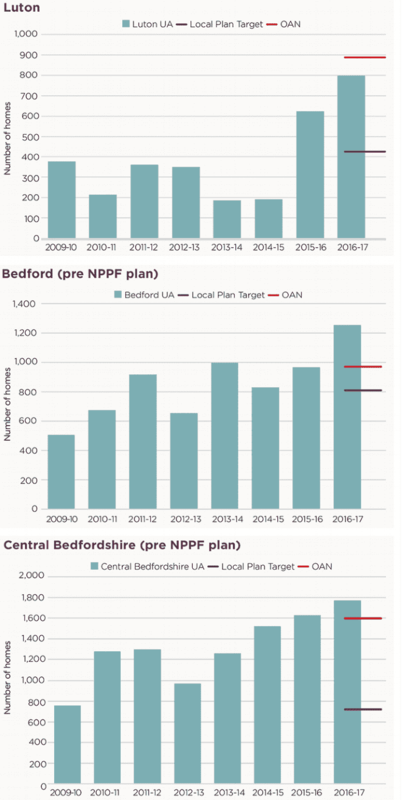 Across the corridor, delivery will need to increase by 63% against the level achieved in 2017/18 for its growth potential to be unlocked and Bedfordshire has the land, the affordability, the economic base and significant new transport investment to play a key role in filling that gap. Central and local government need to reach a place where they see mutual interest in delivering on this ambition.